Across the times and civilizational boundaries there has been a natural curiosity amongst the people to know about the world beyond their own natural habitat. From a very early time, the lure of the unknown, mystical, and fabulous land have led many people from far off regions to traverse the unknown frontiers and come to India. Some of them perhaps came here in search of some specific goals, but after coming here, almost all of them were overawed by the bountiful land, its natural resources, and amazing people of this wonderful part of the world – the home to one of the most ancient civilizations – our own India, that is Bharat. Among the early foreign visitors to India who have left a written account of their first hand experience of this wonderland, the accounts of the Arab travellers forms an interesting genre of travel writings. As a nomadic tribe as well as itinerant merchants the Arabs had been avid travellers from a very early time. After the coming of Islam in Arabia in the seventh century of the Common Era, the itinerant zeal of its followers found its reflection in the famous Hadis or one of the sayings of the Prophet, who urged the Muslims to go even ‘unto China,’ in order to acquire Ilm or knowledge. By far the most celebrated chroniclers among the early Arabs travellers to India is Al-Masʿūdī, the famous geographer and historian, who is hailed as the ‘Herodotus of the Arabs.’ He was the first Arab writer to combine history and scientific geography in his works. Masudi was a prolific writer, and is said to have authored more than 34 books. A majority of his writings included works on Islamic beliefs and sects, and one even about various kinds of poisons! Masudi was born before 893 CE, in Baghdad, in Iraq. His full name was Abūl-Ḥasan ʿAlī ibn al-Ḥusayn al-Masʿūdī. Like many of his countrymen, Masudi was an avid wanderer. His travels extended to Syria, Iran, Armenia, the shores of the Caspian Sea, the Indus valley, Sri Lanka, Oman, and the east coast of Africa, as far south as Zanzibar, and possibly, to Madagascar. He says of himself that he travelled so far to the west, up to Morocco and Spain, that he forgot the east, and so far to the east, up to China, that he forgot the west. After spending his youth visiting various distant lands, in about 947 CE he finally selected in Al-Fustāt, now part of Cairo. He died here probably in September 956 CE. Ibn Khaldūn, the great 14th-century Arab philosopher of history, describes Masʿūdī as an Imam, literally a ‘leader’, for all historians. Unfortunately, most of Masudi’s writings have been lost but whatever survive is sufficient to place him amongst the foremost intellectuals of his times. His major work was Akhbār uz-Zamān or ‘The History of Time.’ This work, in 30 volumes, was an encyclopaedic world history, taking into account not only the political history but also many facets of human knowledge and activity. In his introduction, Masʿūdī lists more than 80 earlier historical works that he consulted to write his account, but, more importantly, he underscores the importance of his own travels in pursuit of first-hand knowledge. The object of these journeys has been to satisfy our thirst for knowledge, and to learn the peculiarities of the various nations and parts of the world, by witnessing them, and the state of foreign countries, by seeing them; in this way we travelled to al-Hind, that is, INDIA. India (Arz al-Hind) is a vast country, extending over sea, and land, and mountains; it borders on the country of Zábaj [or Java], which is the kingdom of the Maharáj, the king of the islands, whose dominions separate India and China, but are considered as part of India. India extends on the side of the mountains to Khurásán and Sind, as far as Tibet. There prevails a great difference of language and religion in these kingdoms, and they are frequently at war with each other. The most of them believe in the metempsychosis, or the transmigration of the soul. The Hindús are distinct from all other black people, as the Zanjis, the Damádams, and others, in point of intellect, government, philosophy, strength of constitution, and purity of colour. India may be compared in its geographical position and character with Italy. The Italians, like the Hindus, are buried under the ruins of their former grandeur, and vegetate, in unmanly occupation, in the plundered temples of their Benares, on the Tiber. … the Ganges (Jinjis) … is a large river in India; … it rises in the mountains of the most remote parts of India, towards China, not far from the Turkish frontier, and falls, after a course of four hundred farsangs, into the Abyssinian Sea (Behr al-Habshi), on the coast of India. The Hindús abstain from spirituous liquors (al-Sharab), and censure those who consume it; not because their religion forbids it, but in the dread of its clouding their reason and depriving them of its powers. If it can be proved of one of their kings, that he has drunk (wine), he forfeits the crown; for he is (not considered to be) able to rule and govern (the empire) if his mind is affected. … [the] above-mentioned town is situated on an estuary which is as wide as the Nile, or like the Tigris and Euphrates. On the banks of the estuary one sees towns, villas, cultivation, gardens, palms, cocoanut-trees, guinea-fowls, parrots, and other Indian birds. The city of Kambayah is two days or less distant from the mouth of this estuary. The ebb is so marked in this estuary that the sand lays quite bare, and only in the middle of the bed remains a little water. Masudi also gives a graphic description of Kashmir. Kashmir … forms a powerful kingdom, which comprises from sixty to seventy thousand towns and villages; and his territory is unapproachable excepting from one side, so that he can shut up the whole of his dominions with one gate; for it is surrounded by mountains of such height that neither men nor wild animals can climb over them, and they are only accessible to birds. Where there are no mountains, there are inaccessible valleys, trees, jungles, and rivers which defend the place by their rapidity. The natural fortifications of this country is well known in Khorasan and other provinces, and it is one of the most wonderful things in the world. Neither in India (al-Hind), nor in Sind (as-Sind), is there a sovereign who disturbs the peace of the Moslims in their own country. The Islam is, therefore, flourishing there. The mosques and Jami's for Moslim worship are large and splendid; their kings are long-lived, and reign forty, fifty, and more years, and the (Moslim) subjects believe, that the length of the life of a sovereign depends upon his justice and the respect paid to the Moslims. … they are not only used for war, but for many other purposes, as for carrying burdens, drawing carriages, threshing rice, and other sorts of grain (aqwāt), as oxen tread out corn on a floor. If an elephant is spirited, pugnacious, and brave, a rider sits on his back, and he has a Fautal or Qartal, which is a kind of sword, in his trunk. The trunk is covered with mail and iron, and the rest of his body is protected by an armour of iron and leather; such an elephant is surrounded by five hundred men, who protect him from behind. An elephant thus equipped, keeps his ground against six thousand horsemen. He advances, retires, goes round (and makes the military evolutions), like a horse with a rider on his back. These are the manoeuvres of the elephants of the Hindus in all their wars. No king can succeed to the throne in India before he is forty years of age; nor does their sovereign ever appear before the public, except at certain distant intervals, and then only for the inspection of state affairs. In their opinion, the kings lose their dignity and bring contempt on their privileges if the public gazes at them frequently. Government is only maintained by good feeling and by respect for the various dignities of the state. Royalty is limited to the descendants of one family, and never goes to another. The same is the case with the families of the wazírs, kázís, and other high officers. They are all (hereditary and) never changed or altered. 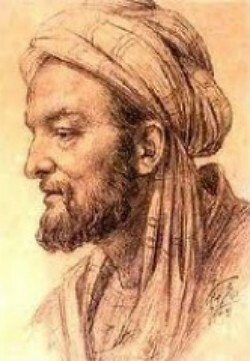 In the last year of his life, Masudi embarked upon an new work which he called, Kitāb al-Tanbīh wa al-Ishrāf or ‘The Book of Notification and Verification’, in which he summarized, corrected, and brought up to date the contents of his former writings, especially the three historical works. The author of this book compares himself to a man who, having found pearls of all kinds and of all colours scattered here and there, gathers them together into a necklace and makes of them a precious ornament of great price which his possessor guards with care. Masudi’s ‘precious necklace of wisdom’ is indeed an invaluable gift to all of us who pride ourselves in the glorious history of this great country – India. 2. H.M. Elliot and John Dowson, he History of India, as Told by Its Own Historians: The Muhammadan Period; by Sir H. M. Elliot; Edited by John Dowson; 8 vols. (London: 1867–77), Vol. I.